The Fair is an annual event that runs for about 2 weeks in January / February. Held at the Fairgrounds off Southern Blvd, there is an array of food vendors and concessions serving up fried everything – oreos, grilled cheese, peanut butter and jelly sandwiches, mac and cheese, candy bars, you name it. They also have the classics – turkey legs, funnel cakes, sausage and peppers, etc. Want a burger? You can get one on a Krispy Kreme bun. 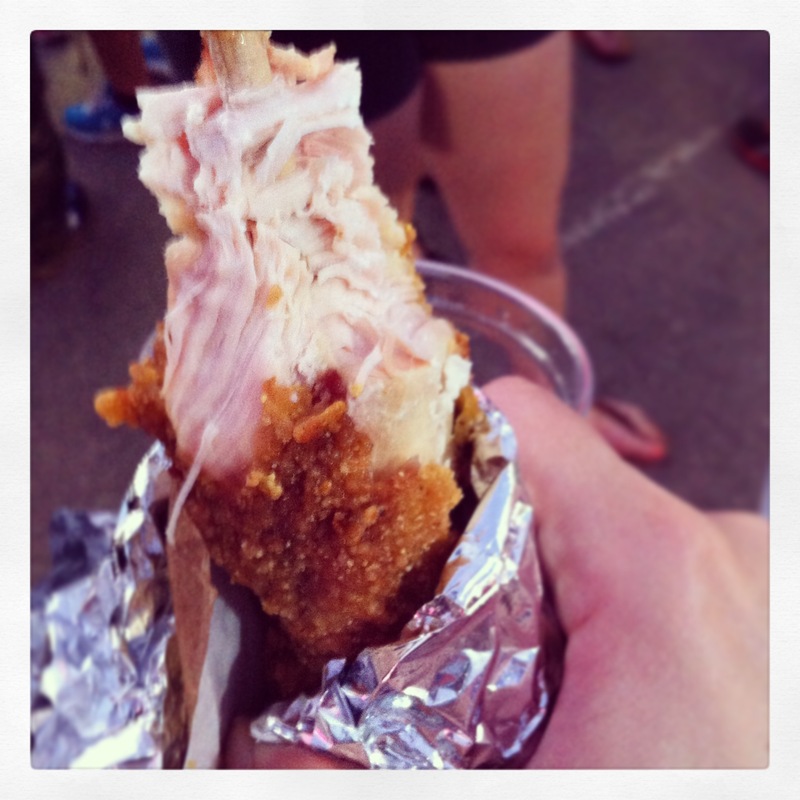 This year my favorite food was the Bacon Wrapped Chicken which was served on a large skewer topped with a roll. 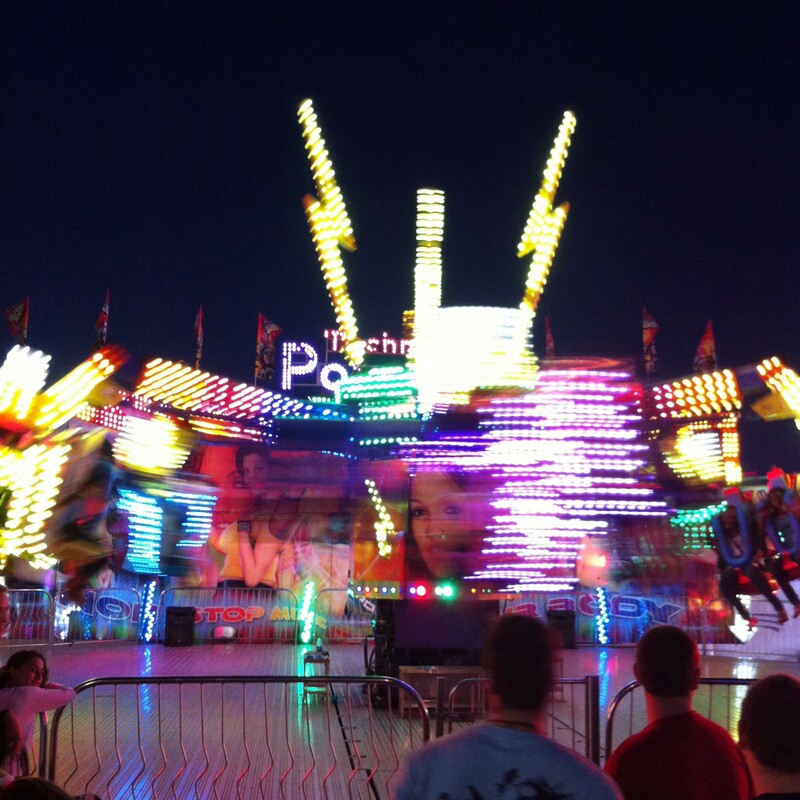 The main attractions of the Fair are the games and rides. Here you can find all of your carnival favorites – basketball free throw, football pass, ring toss, water gun races, hammer strength test, rope ladder climb, among others. And there are plenty of huge stuffed animals and happy faces throughout the grounds. The rides are every type of vomit-inducing, twirling, up-and-down, sideways, flipping contraption you could dream up from the Fireball to Space Rocker to who knows. And the long lines meant they were offering every thrill they promised. Not to worry, there are rides for the kids as well and a ferris wheel for those looking for a calmer experience. The Fair also hosts a livestock agriplex complete with pig races (Lindsay Loham was one of the winners this year), the historical Yesteryear Village and exhibitions. The Expo Center hosts a large group of vendors selling anything from hot tubs and saunas to cars to clothing. 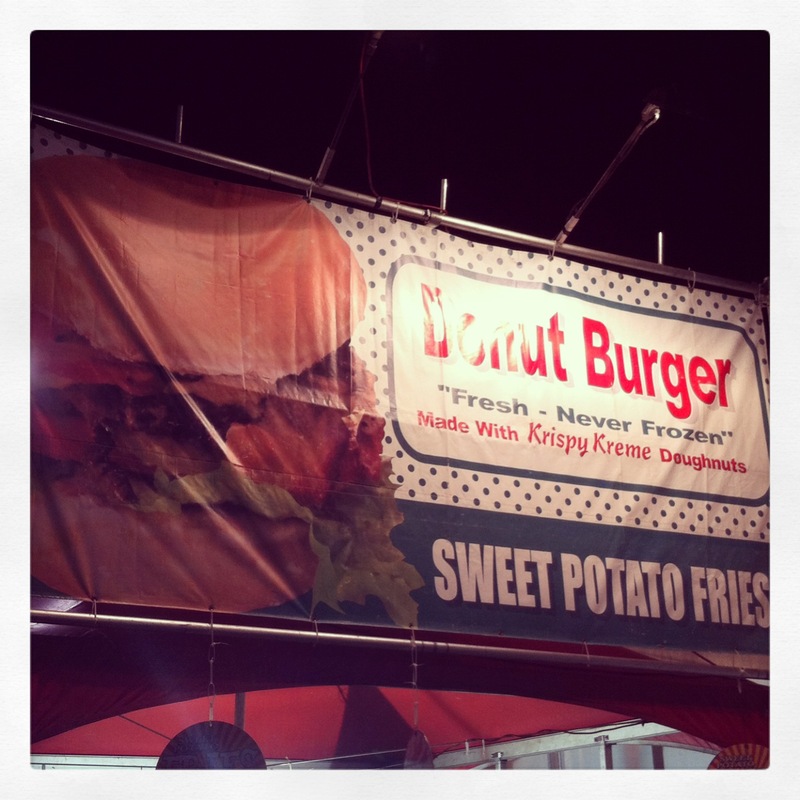 South Florida Fair is a family-friendly event with something for everyone.